This is Cyril. One of my characters from my story Dragon Call. Do not copy, use or alter in any way! 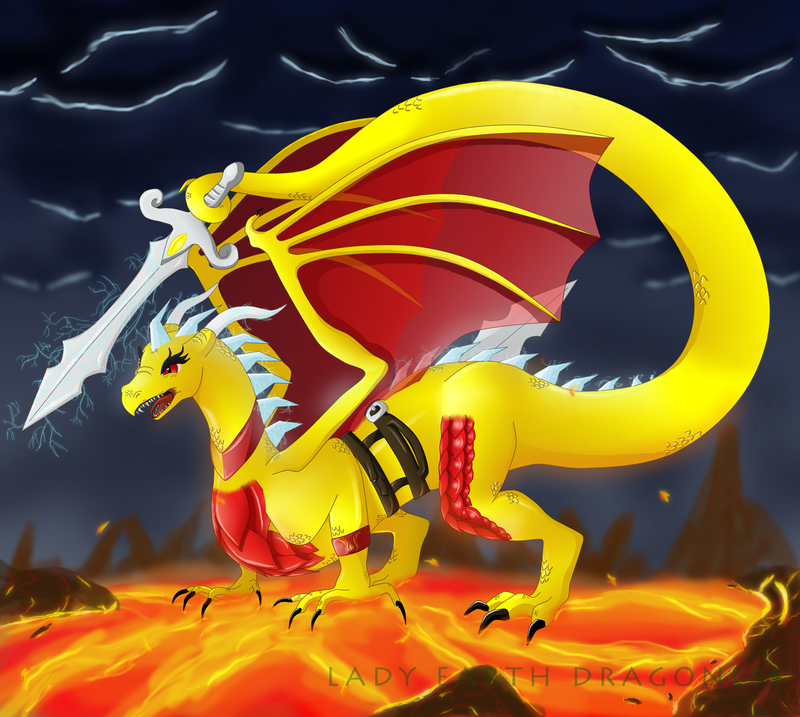 well, a dragon swinging an oversized sword... never thought to see that, looks pretty good though. also I like the color... it is the same as mine, yellow!